A fellow writer tells me some of the most interesting writing around is about "jobs." What follows here is the concluding paragraph of a review of a memoir written by a long-term street cop. 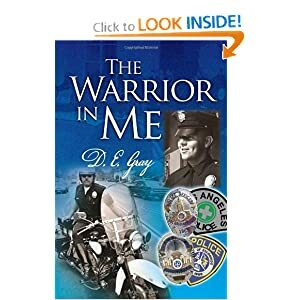 The Warrior in Me isn’t a drama-laden page-turner. It is, nevertheless, an informative and educational book. Give a copy to anyone who talks about joining a big city police force; keep a copy for yourself and remember to be polite, cooperative, and empathetic next time you meet a police officer.